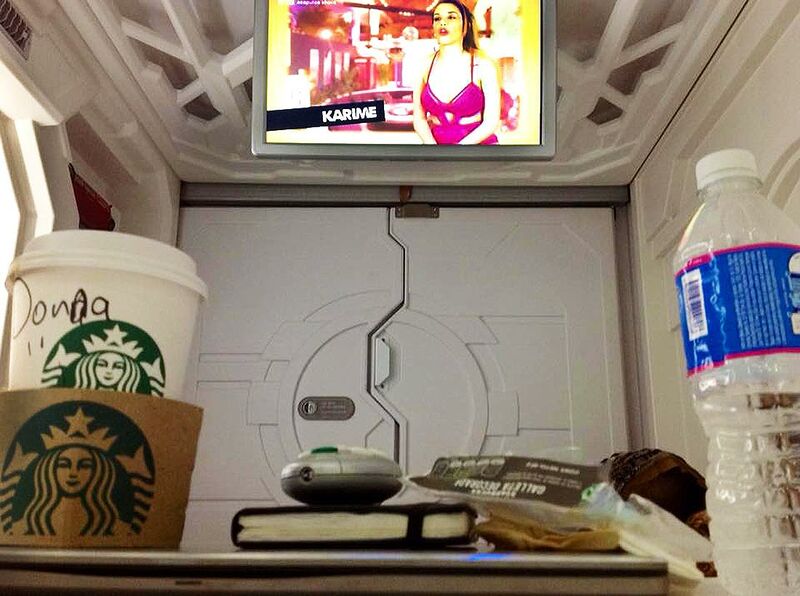 I would definitely try this and wish more airports would install these “pod” hotels! It looks like a great option to trying to sleep in an airport waiting area. Indeed, Debbie. It was such a relief to wake up rested and already BE in the airport. And to NOT pay $130 for the privilege. 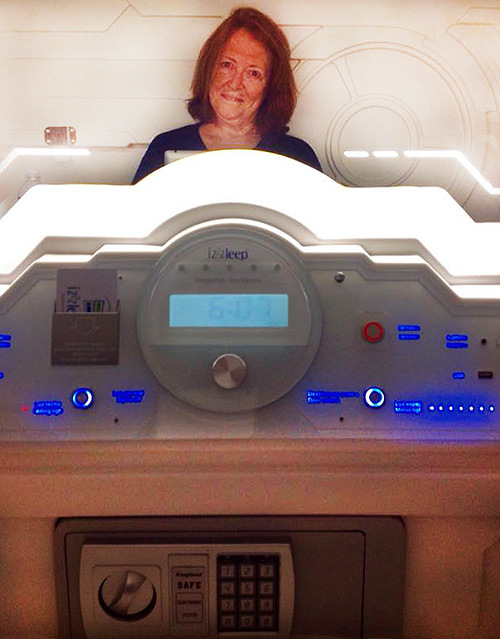 I’ve always wanted to stay on a capsule hotel (helps that I’m quite tiny and travel light! ), so this was a really interesting read! Thanks for sharing it; I’d definitely stay here! Thanks for the compliment, Nicky. And yes, being small and traveling light both help a lot. I like your attitude, Rachel. You can’t know until you try it, and I’m always up for a new experience. I Love the idea but Im sure id be so claustrophobic! I think that’s the problem for a lot of people. But it didn’t feel that way to me. It’s larger inside than you expect. I always wondered what it was like to stay in one of these capsules. It looks like you are inside a spaceship! The price is good, thanks for reviewing, now I know the info. Thanks Lucy. A spaceship is a good description! 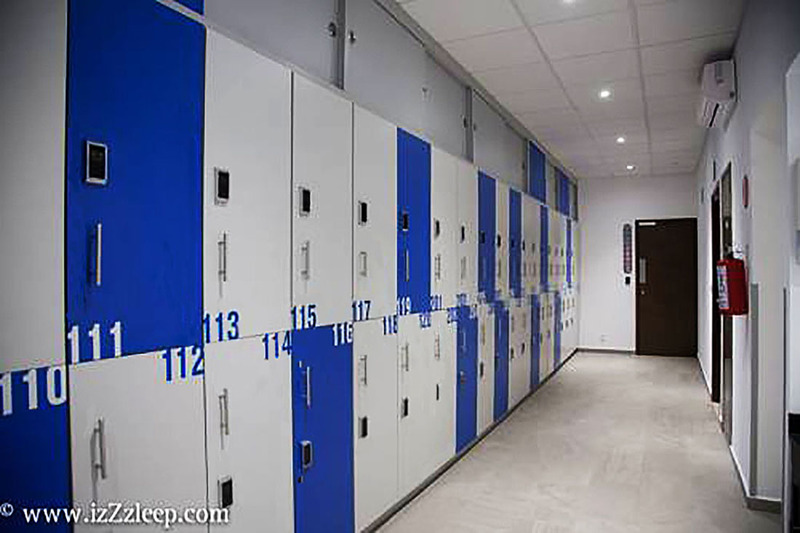 I don’t think I would want to spend a night at a capsule hotel but I can see that it would be great for long layovers. One thing which you haven’t mentioned is what people use for alarms. Is there some sort of wake-up call system or do you just use your phone alarm – and if you use your phone wouldn’t that mean there would be alarms going off all over the place disturbing everyone else. That’s a great question, Lyn. I used my phone, but I put it under my pillow so it would not be too loud. I didn’t hear any others going off, but I don’t hear well, so not a great test! Hi Donna. Thx for the insight into Izzzleep pod sleeping. I somehow don’t think it would work for me as I have bad knees and don’t sleep well at the best of times, but it’s great to know more about it as an option, and hopefully, more airports will soon offer this option to make long layovers more tolerable. Thanks Doreen. Yes, knees can be a problem when you get to “a certain age.” You do have to stoop down to crawl into a bottom pod. But yes, it’s a great option for a night before an early flight or a long layover. 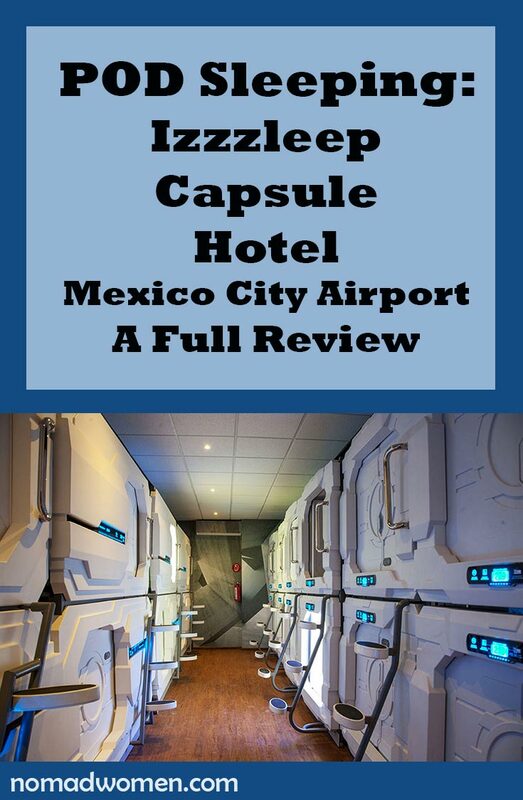 The Izzzleep Capsule Hotel sounds a little claustrophobic for me. I have visions of waking up in the middle of the night and not knowing where I am. 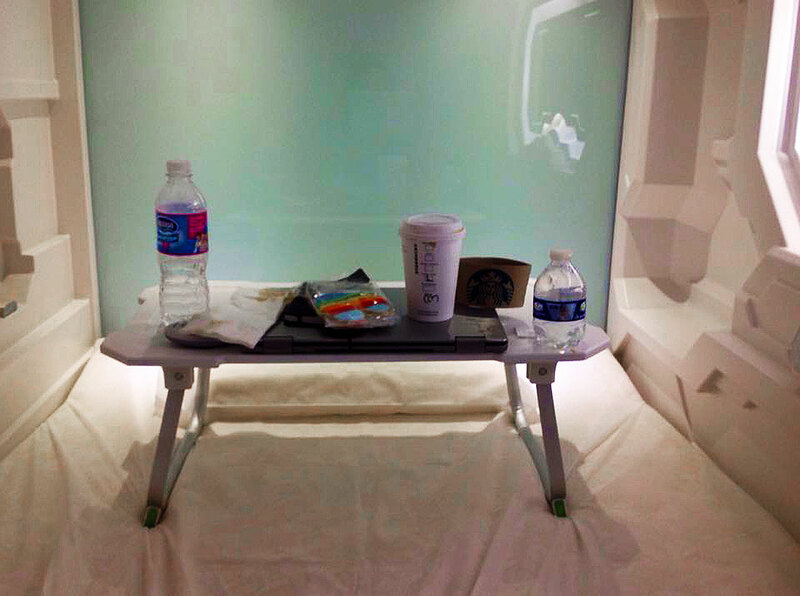 But what a great option as far as airport accommodations go. Every airport should have these! LOL. that happens to me in a regular hotel, Natalie. When you sleep in a lot of different places, it kind of comes with the territory. LOL – I am feeling claustrophobic just looking at this, I am more of a wide open space, resort girl. While I can see it as a brilliant idea, it’s not for me. Too bad though, it would be useful, and I imagine the rest of my family will get good night sleeps while I sit in an airport chair somewhere. I get that, Rhonda. I know it is not for everyone. But I did sleep well in my cozy little box. Wow!! It looks like you are in some spaceship!! I am a big fan of star wars and this looks like my thing. Will definitely stay in them on my next visit to Mexico. Thank you so much, Donna, for the post. Keep writing. Thanks for the nice comment, Vijay. Yes, it was very “spaceshipy.” I liked it. Thanks Tam. It IS pretty cool. try it the next time you are in CDMX. This looks so comfy and cool! I didn’t know there is something like this in Mexico. 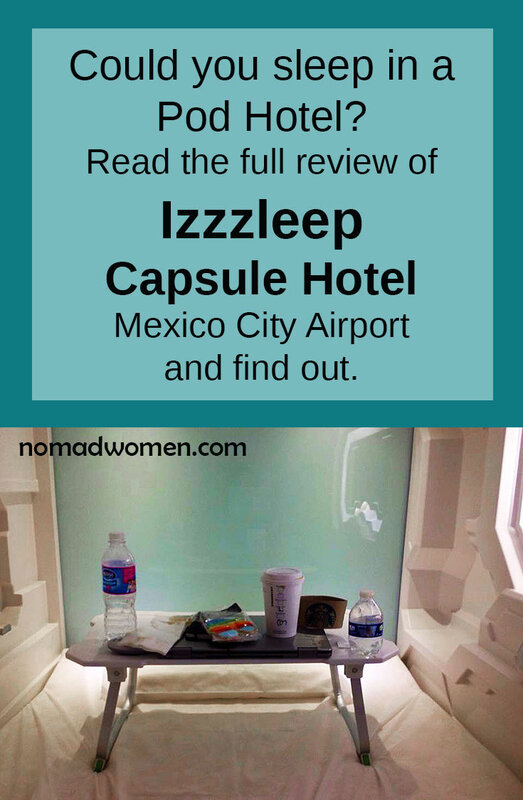 I’ve always seen capsule hotels in Japan and I didn’t know the trend has moved. This is worth the try! I know, Jamie. I was surprised when I first heard about it too. 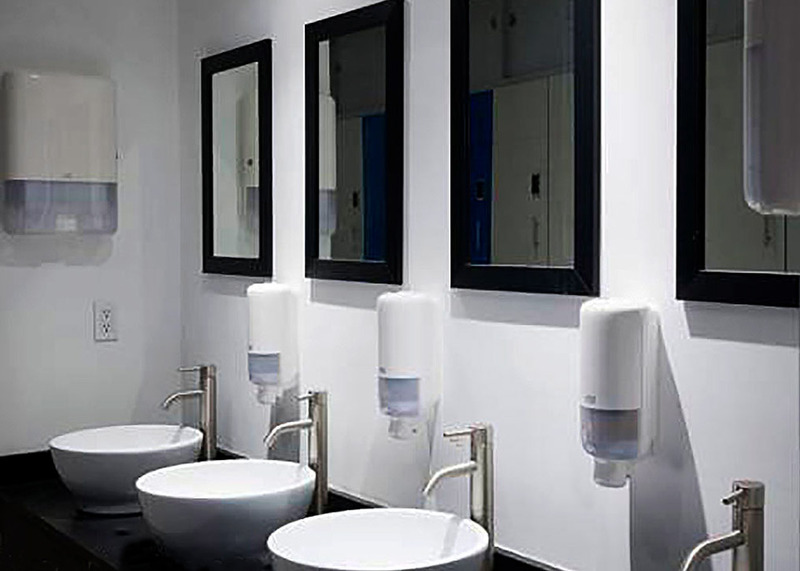 I have since learned that there are pod hotels in many places, including New Zealand, Schiphol Airport in Amsterdam and a few in the US. A growing trend, it seems. Hi Donna! This capsules are just so cute. I don’t know why but seeing this reminds me of Star Wars. 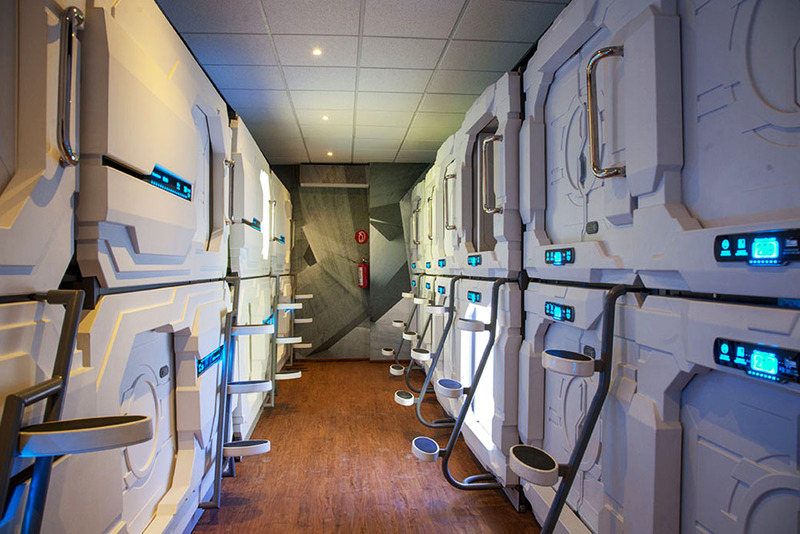 Maybe I just kinda imagine people working in space will be sleeping in these capsules. That was my first thought too, Arren. They really are very Star Wars! How much is it to sleep per hour? I know there is a 2 hour minimum, but I cannot find the hourly price anywhere. Tina – You can find the hourly rate here. http://www.izzzleep.com/#servicios. It is currently $140 pesos/hour, plus 19% taxes. At today’s exchange rate, that translates to a little less than US$9/hour, with a two hour minimum. Hope that helps. Latte smuggling = solidarity! I have to say, it looks much brighter, lighter, and more ‘airy’ than I expected. Probably smart lighting and white bedding but overall it’s not the dark tube I imagined (which would have been okay too – sleep is sleep). 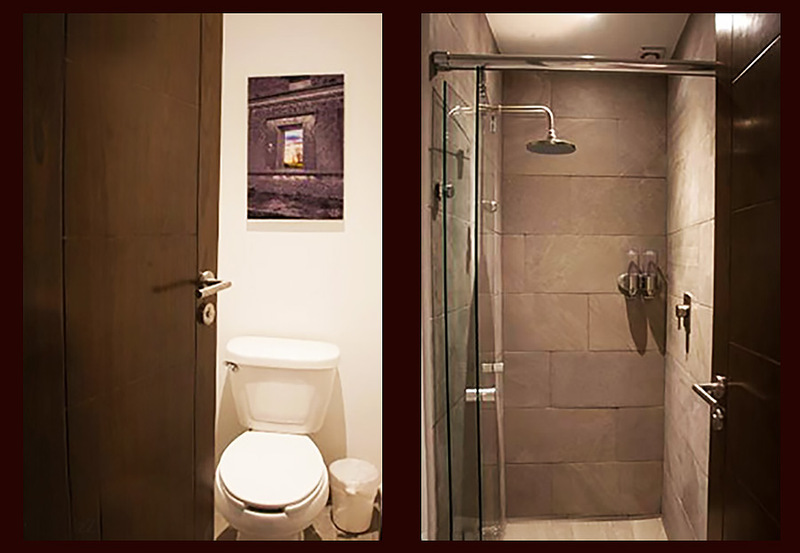 The more I travel, the more I hugely appreciate the chance to just lie down in a private area, even if I can’t sleep well, and have a hot shower. This looks fantastic for $40. Yep, it’s a great deaL, Vanessa (my fellow latte smuggler). The Marriott right next door costs 3 times as much. It’s also available on an hourly basis if you just need a short nap and a shower. I found it pretty comfortable overall. My neighbor, on the other hand, who is 6’3″ would probably end up clawing her way out after 15 minutes. For me, it’s a great option for MEX.